Moving is an essential part of people’s lives. It works in a life cycle of most businesses and homes. Because the new relocation area is more suitable for people’s lifestyles and operation of the business, people go where better and bigger opportunities are. The primary reason for Hove removals is due to the affordable cost of living and business operation in a new place. Why is it not easy to move? Relocation ranks 5th on the top list of problems related to high stress and headaches. People who move are challenged with daunting tasks that cannot be prevented. This fact is not a big surprise anymore. In addition to the endless searching for a new house, you need to think of selling the old house and pay for the new property. You can also add the hassles of transferring your belongings, especially if the new house is located in a far place. However, a removal company in Hove can handle all the tasks easily. Is DIY option important for moving? The job of moving to another place is less difficult for people with several belongings. But for a big family with furniture and many valuables to protect, the task of moving is very upsetting. Some families can handle the things without the need of Hove removals. They can properly manage their belongings. While it can be a reasonable action to do it alone, transporting all the properties has a high risk. So if you’re not cautious while loading and unloading, possessions can be damaged without noticing it. 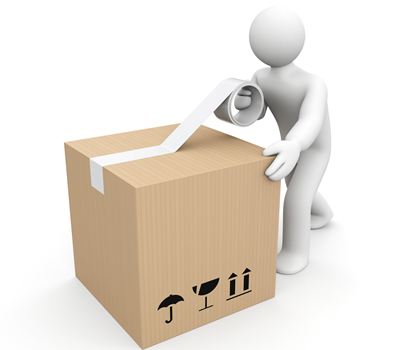 On the other hand, by hiring a removal company in Hove, you can expect for your belongings to have the right packing. They can be loaded in the truck with all security until everything reaches your new location. To avoid committing mistakes in deciding which company to hire, here are a few tips to help you pick the best company. From the net, you can find different companies available for removals. You can reach those companies by contacting them and they will reach out to you immediately after making your deal. A reliable removal company in Hove is one of the most popular sought-after services. Companies that are actual members of Sussex removals are professionals who render excellent services. Despite of the quality services expected from them, prices are relatively low. Therefore, the chances of having damages on your property are very slim. The role of this service provides a time-efficient job and convenience. Those who provide removal services have safe storage units for a temporary stashing of people’s stuff and possessions. The storage units they use have controlled temperatures to prevent damaging of valuables and spoiling of goods. Almost all home Hove removals provide the needed insurance as a way of protecting people’s property. To get the most affordable price with quality services, all you have to do is assess several removal providers. You get all your money’s worth once you hired the best removal provider in Hove. please reserve your date as soon as you can! Don’t want to take our word for it? Then visit our ‘Trust-a-trader’ listing to see what our customers think of us as well as the numerous reviews on www.reviews.co.uk. Our knowledgeable and skilled team have the solution to save you from the trauma of moving home. Call us now for a chat about your move in the Hove area. We can’t wait to help you move!